I saw this pattern on pinterest awhile ago and wanted to make a cute blanket for spawn #2. Since we don't know what we're having yet I wanted it to be gender neutral, although I confess, even after adding green to the border it's still pretty girly. I made the blanket a lot smaller than it was originally supposed to be, but oh well, it's for an infant. 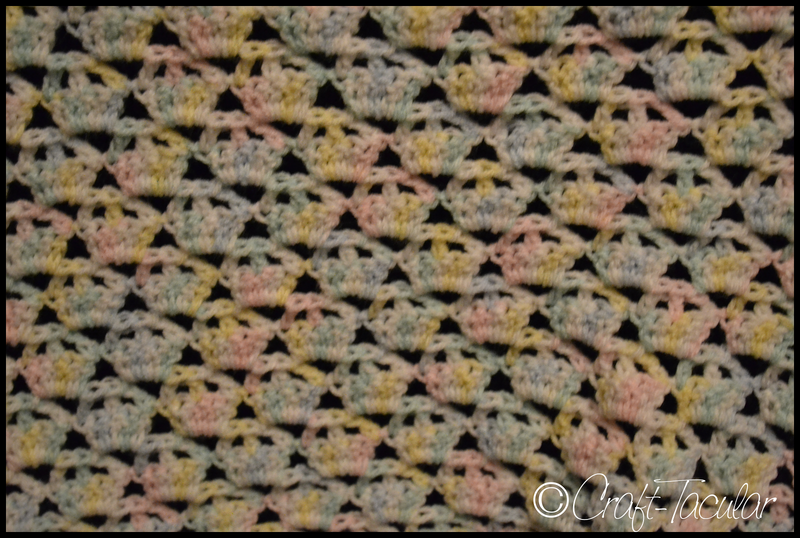 My daughter never really used the blankets I made her before she was born and who am I kidding, I wanted to try a new crochet pattern. The way the pattern is written is very confusing at first, but once you get the hang of it it's not so bad. Because I would always fall asleep around 9pm it did take me a while to finish but, it's done! It's hard to see because of how I took the photo but every 2 rows makes up some cupcakes. 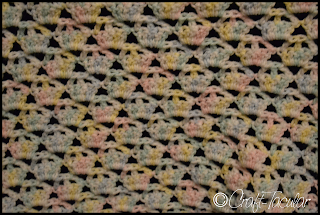 I really enjoyed it and am trying to think of other ways to use the cupcake motif in a pattern. Updated: Here's a better picture! Calling all yarnworkers! You are needed! That means you! 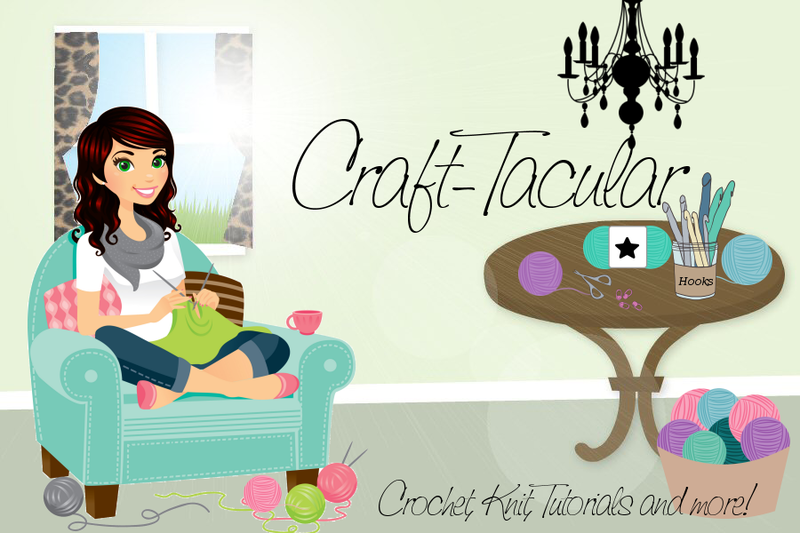 If you love to knit or crochet and have any extra yarn and extra time, please take a minute to read this post. I have mentioned before how I would like to get some donations together to send to my area's local hospitals. The nurseries and NICUs are in need of hats and blankets for the little ones and their parents. I just got a new car and while I was going through all of my stuff, I pulled out my old plain auto wallet. You know, that thing that you only pull out when you're asked to show your licence and registration? well mine was the standard black bi fold wallet with Velcro, so I decided to spruce it up. It literally took less than 5 minutes. and it's not perfect but it looks a hell of a lot better! washi tape - I got mine on sale at Michael's so it was only a few $ and it's a pretty big roll so I'll have it for awhile! the only other step you might want to do is clean off the wallet with a little Windex to make sure that the tape sticks well. other than that, get to it! Roll on your tape, line up the other rows, done. I only chose to do a section of my jar because I liked having most of it still plain since I chose such a busy piece of scrapbook paper. 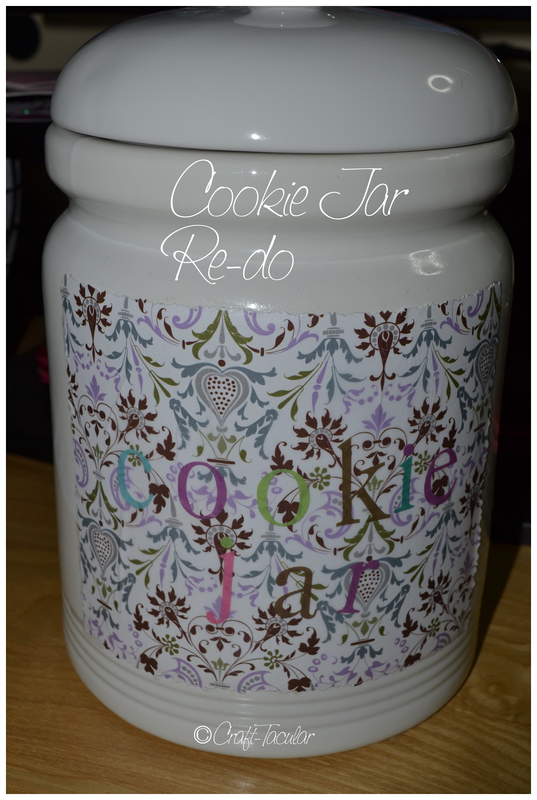 Make sure your cookie jar is clean and you can begin! 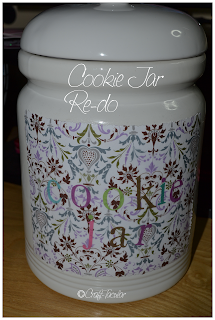 Step 2: Put Mod Podge on the back of your paper and on your cookie jar, stick it on! In hindsight I probably should've left the stickers off but I like them anyway!